Do I Really Need a Roof Inspection This Spring? Homeowners tend to neglect their roofs when it comes to home maintenance. Cleaning and fixing the roof is a tedious and often dangerous chore, which is why most choose to turn a blind eye. But the roof is arguably the most important part of your home. It is the home’s main line of defense against severe weather conditions. After all, the saying “a roof over your head” is not for nothing. Not inspecting your roof regularly could lead to several dangerous scenarios. Neglecting your roof can lead to water damage and can cause a myriad of health issues if mold forms in the cool and damp comfort of the attic. The best way to make sure your roof is strong enough to withstand any attacks on your home is to hire a reputable experts like The Inspectors Company. In most cases, people call a licensed roof inspector to inspect a roof of a home they are looking into buying. A person selling the home might also request a roof inspection if nothing to make sure any future inspections requested by the buyer don’t dig up a surprise. Finally, seasoned homeowners seek roof inspector services simply to make sure everything is good with the roof. After the inspection, you will receive a certificate of inspection that lasts between two to five years, depending on your location. This certificate can increase the selling price of your home. Most homeowners believe a roof inspection is redundant after a complete home inspection. But while a home inspector only looks for general issues, a roof inspector digs deeper into the structure of your roof. A home inspector will point out the obvious issues, while a roof inspector will be able to detect underlying issues that might cause serious problems. 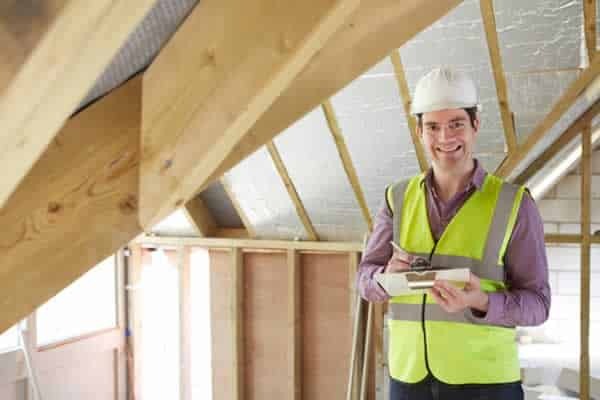 While you might be tempted to perform the roof inspection on your own, such a task could be dangerous and pointless if you don’t know what to look for. There are several benefits of hiring a professional roof inspector. First of all, a roof inspection will reveal any issues at an early stage, before they become serious ones. A roof inspection will reveal any small leaks, crooked pipe supports, and similar issues. Sometimes even a small leak can cause major issues like creating a fertile ground for mold growth, structural damage and others. A roof inspection will also help protect the roof warranty if you’ve recently installed a new roof. To make sure your warranty is valid you may need to have your roof inspected once or twice a year. Make sure to consult the warranty to find out how frequently you need the roof inspected. The sooner the better! Spring is a perfect time to schedule a roof inspection since it might help discover problems that snow may have caused during the winter. Since springtime is known to bring heavy storms and severe weather conditions like hail, you need to know your roof is able to withstand the pressure. And with the home market blooming in the spring, most respectable home inspector companies will have a busy season, meaning the sooner you schedule the inspection the better. i looking for roofing Inspected?